The Nairn Birder: Spring has arrived - and so has the willow warbler. Spring has arrived - and so has the willow warbler. The beautiful weather has got me out with my binoculars and camera again - that's not to say I haven't always got them with me! 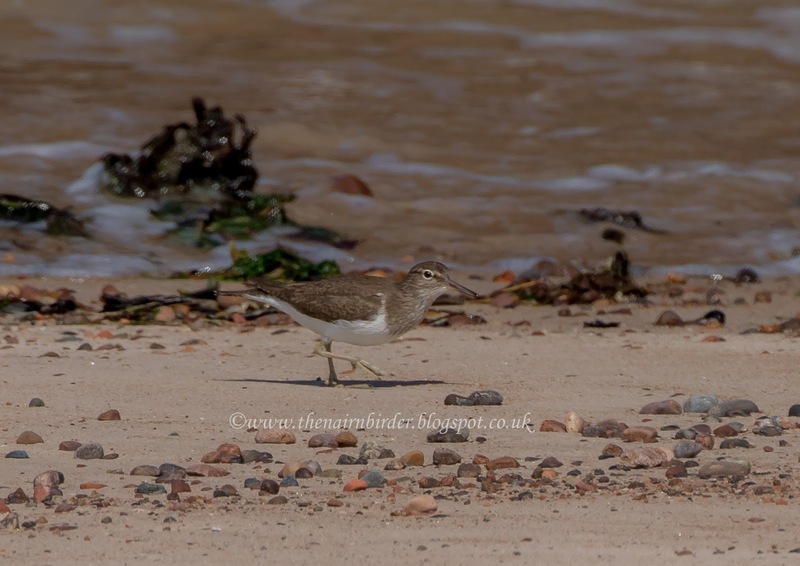 But a walk along the river and the Links resulted in a few nice snaps. 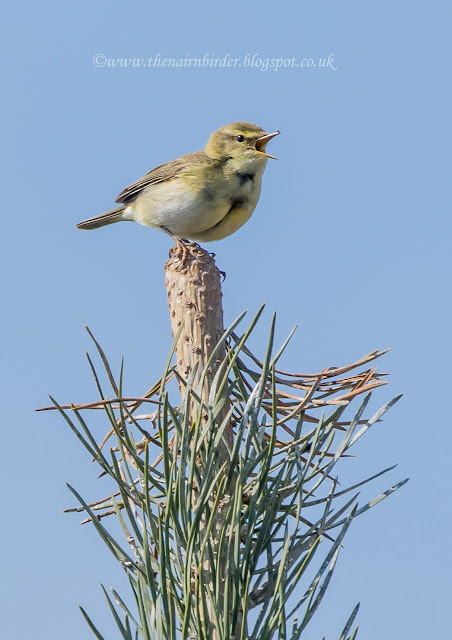 The first two are of a migrating bird that arrived a few weeks ago and has filled the air with its lovely cascading song ever since: the willow warbler. 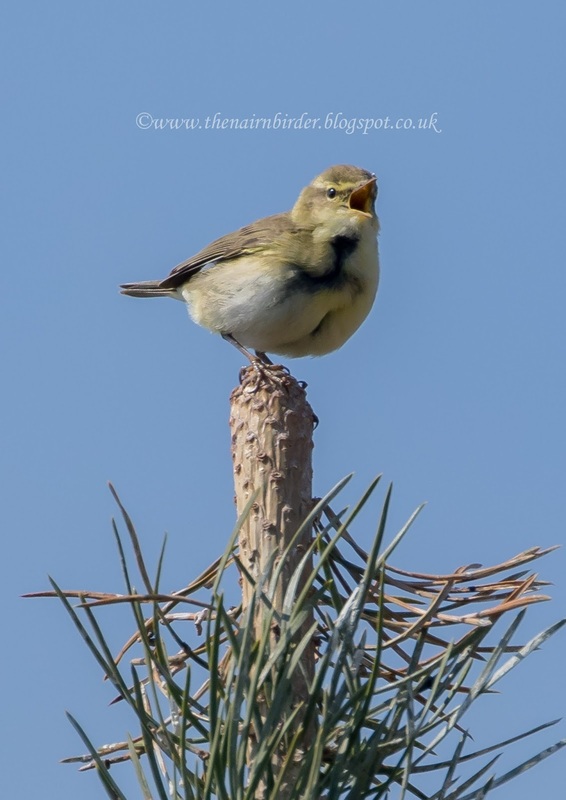 This one was photographed on top of a gorse bush at the Links (and it looks like a fly is on the end of its bill!). 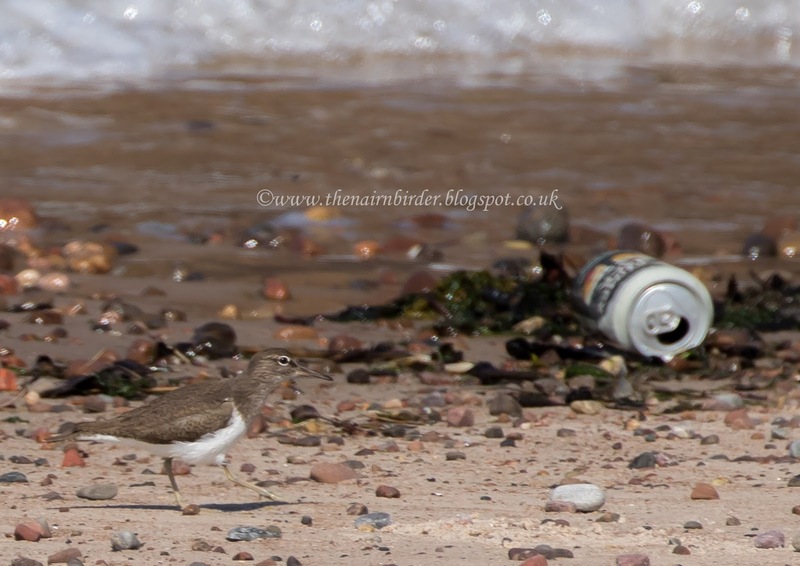 Behind it Kate spotted a common sandpiper running along the beach - and thankfully it avoided the tin can. 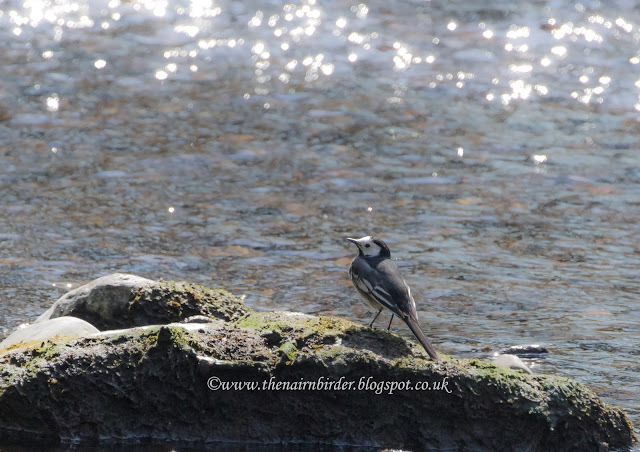 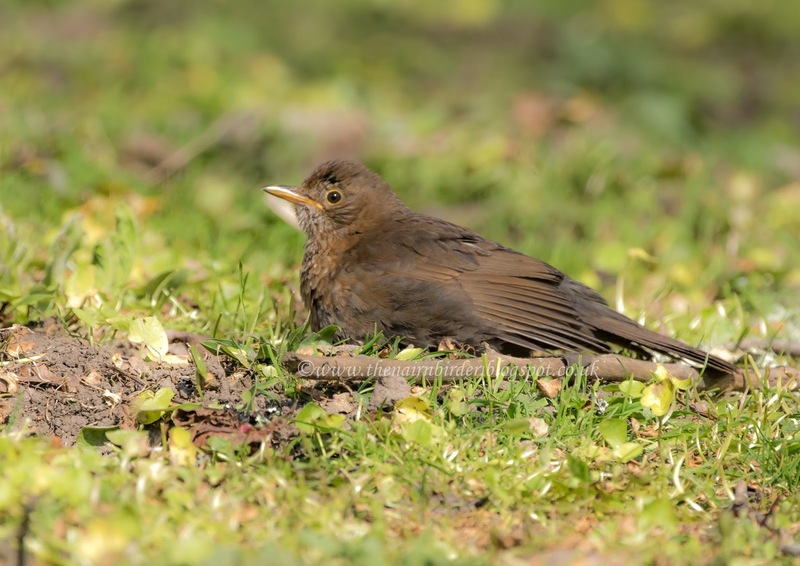 Just up the river was a resting blackbird and a posing pied wagtail.